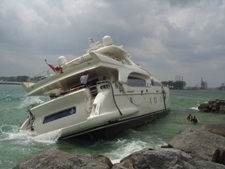 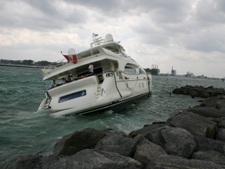 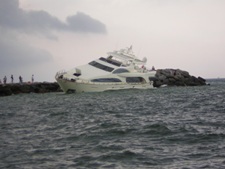 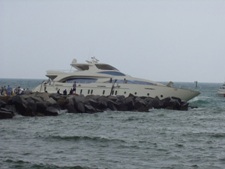 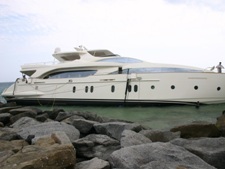 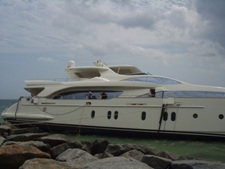 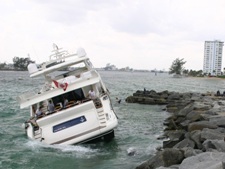 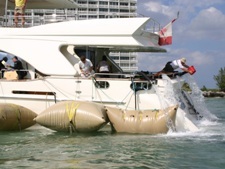 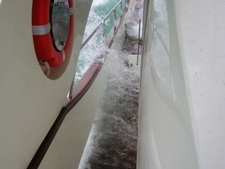 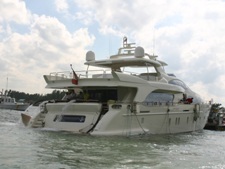 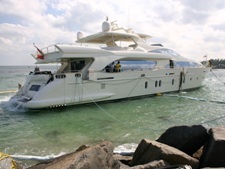 The 116' Azimut was aground and taking on water on the North Jetty of Port Everglades. 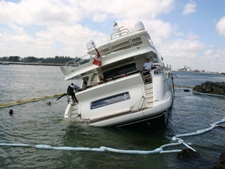 The Salvage Team worked for several days to secure and coordinate the extraction with local law enforcement and port authority. 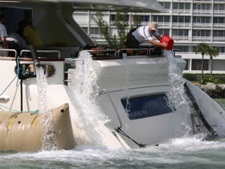 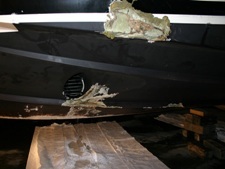 While salvage divers were inside the casualty patching the hull and manning numerous dewatering pumps, divers outside were working to patch the holes that could not be accessed from inside. 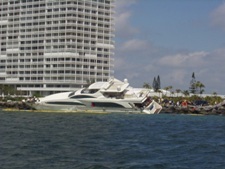 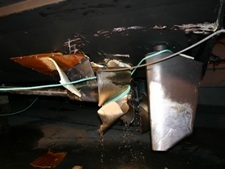 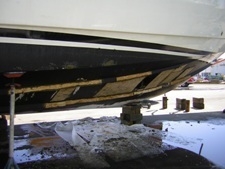 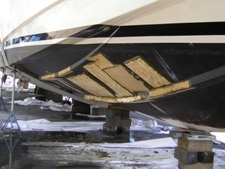 The vessel was ungrounded with several assets and towed to a repair facility in Ft. Lauderdale.